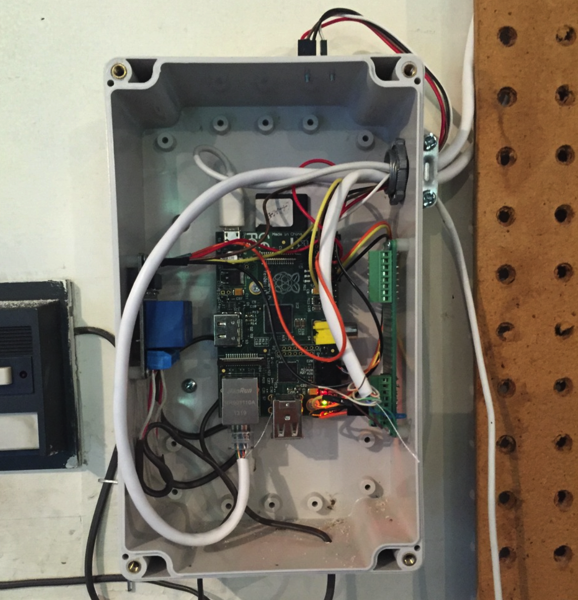 Garage Door Monitor #piday #raspberrypi @Raspberry_Pi « Adafruit Industries – Makers, hackers, artists, designers and engineers! There are lots of them out there. What does mine do that is different? 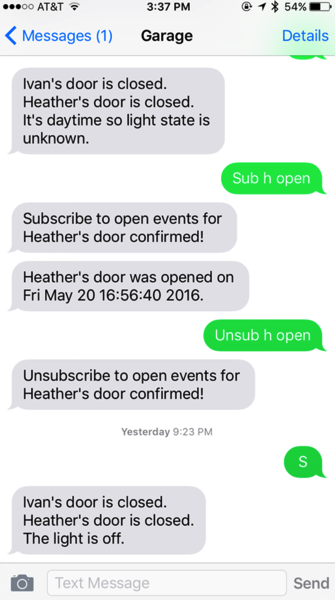 Ability to dynamically adjust what is communicated. 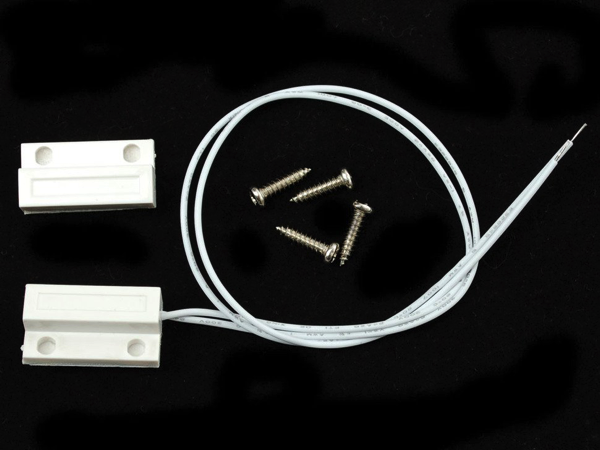 Magnetic contact switch (door sensor): This sensor is essentially a reed switch, encased in an ABS plastic shell. Normally the reed is ‘open’ (no connection between the two wires). The other half is a magnet. When the magnet is less than 13mm (0.5″) away, the reed switch closes.